The Aeronautics and Cosmonautics Romanian Association is the first team to submit a due date for sending a robot to the moon in the Google Lunar X competition. The flight will be launched within three months and if the team succeeds, they will grab prize money of $30 million. This will be the first flight to the moon conducted by a privately funded team. In 2007, Google, in association with the X-Prize Foundation has offered a $30 million prize to the first privately funded team to land a robot on the moon. To fulfill the competition requirements, the robot then must travel 500 meters and transmit video, images, and data back to the Earth. The flight must be completed before the 31st of December, 2012. If no team successfully launches a robot by the end of 2012, there will still be an option to win $15 million by launching a flight by the 31st of December, 2014. On May 28th, the Aeronautics and Cosmonautics Romanian Association (ARCA), announced they plan to be the first team to make an attempt. ARCA is a non-governmental organization that promotes innovative aerospace projects located in Valcea County. 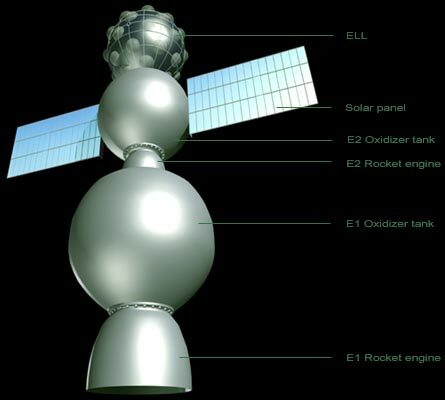 The flight will be named Mission4-ELL and should be launched within three months. This announcement came as a surprise for many as despite the fact that quite a few companies have enrolled the competition, ARCA was the first to schedule a flight. For this flight, ARCA is teaming up with a former major competitor, Pablo De Leon and Associates Company, for the Ansari X prize. 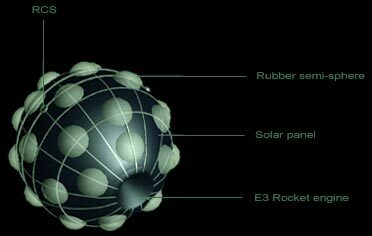 The robotic vehicle used by ARCA will be the European Lunar Lander (ELL), which is a rocket powered, pressure fed, restart-able cold rocket engine weighting 42 kg. Pressure-fed refers to the ability of this liquid-propellant rocket to force fuel into the combustion chamber under pressure. The launch will be made from sea, and according to the plan, the STABILO booster rocket will be carried to an altitude of 18 km by a balloon. At this point the rocket’s engines will be ignited and the ELL will be taken to space to an altitude of about 100km. Later, the rocket will dispatch from the space vehicle and will drop into the ocean. Then the ELL should soft land on the moon surface after 116 hours. The vehicle will then run some tests on its systems, make measurements, take pictures, and broadcast live video back to Earth. Other teams still have a reason to keep developing, since the second team that succeeds in completing a flight will receive a $ 5 million prize. An additional $ 5 million will be awarded to the team that finds remnants of the Apollo landing on the moon, of USSR missions, or signs of frozen water on the moon. The team whose robotic vehicle will remain operational the longest will also be awarded an additional $ 5 million. TFOT has only recently covered NASA’s Crew Mobility Chassis – a new concept for a lunar truck tested by NASA at Moses Lake in Washington. Previously TFOT covered other robotic vehicles in space, including the ATHLETE, to be used in exploring the moon, and NASA’s Phoenix lander, which is currently performing tests on Mars. More information on ARCA’s X Prize attempt can be found at the ARCA Space website.. More information on the Google Lunar X PRIZE competition can be found on Google’s lunar prize website. Little House on the Moon Evidence of Water in Moon’s Interior Lemur – Pet Robot Assisting In Space NASA Reveals Prototype Moon Base NASA to Set a Space Base Close to the Moon? Anni has a B.Sc. in Psychology and Biology from the Hebrew University and is currently working on her M.Sc in Neurobiology. Her thesis will focus on face perception and processing.